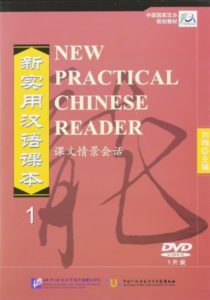 The New Practical Chinese Reader series is designed to help native English speakers easily learn Chinese. Each lesson builds language capacity and cultural knowledge through training in listening, speaking, reading and writing skills. 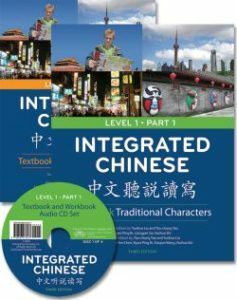 This resource was sponsored by the China National Office for Teaching Chinese as a Foreign Language (NOTCFL) and within the Chinese Proficiency Test (HSK) Guidelines. 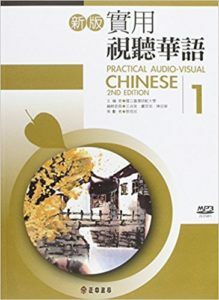 The first book in a series of five levels, Practical Audio Visual Chinese has 12 lessons of pronunciation and simple everyday dialogues using basic vocabulary. All terms are in traditional Chinese and annotated with pinyin, zhuyin (BoPoMoFo) and Tongyong pinyin. Also included are mp3 audio files which correspond to the text lessons.